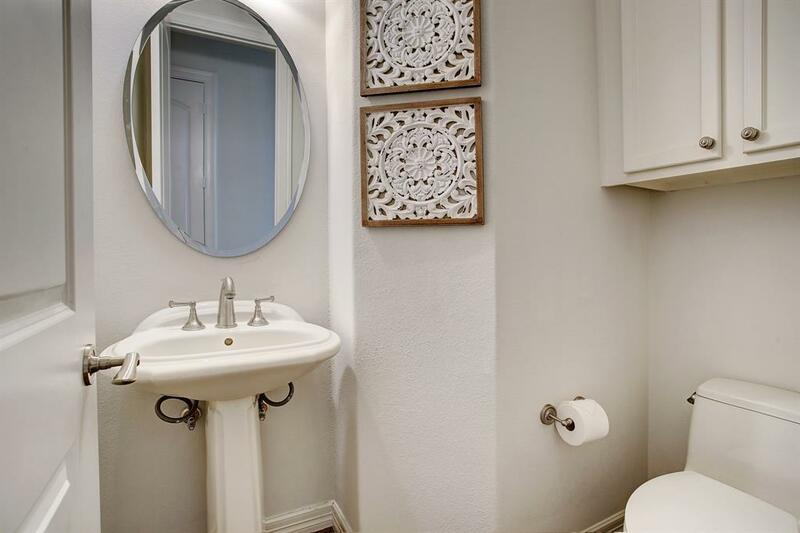 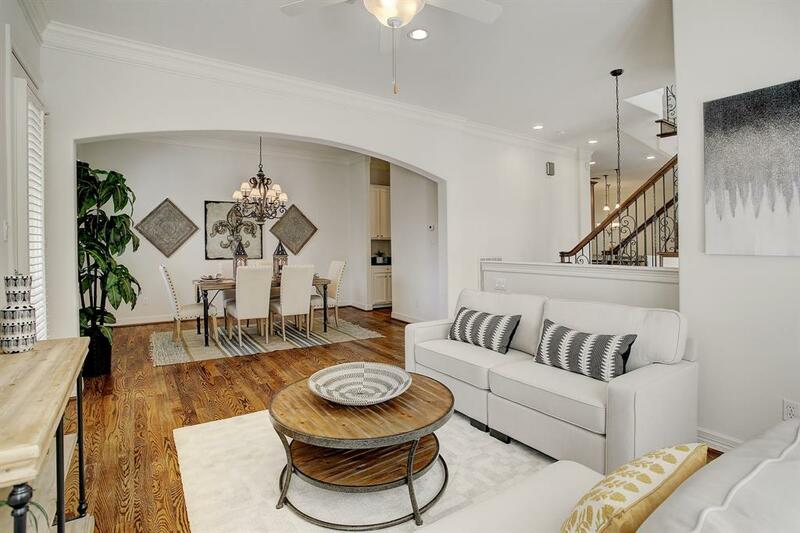 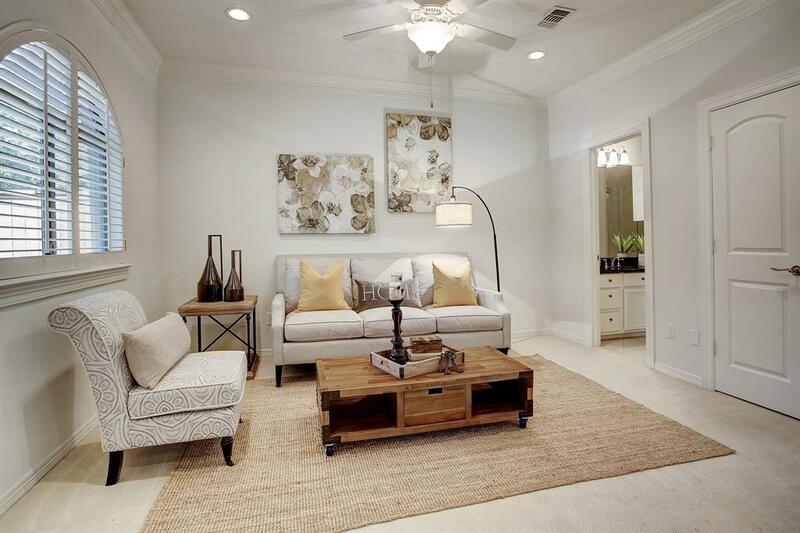 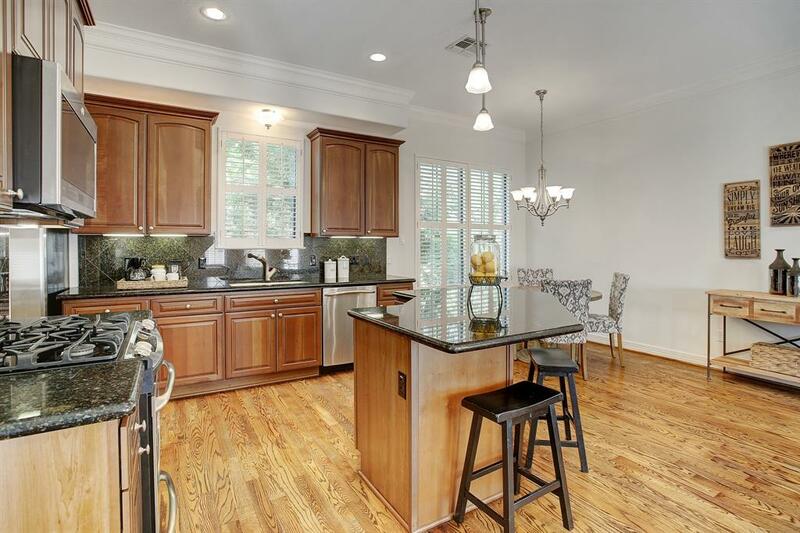 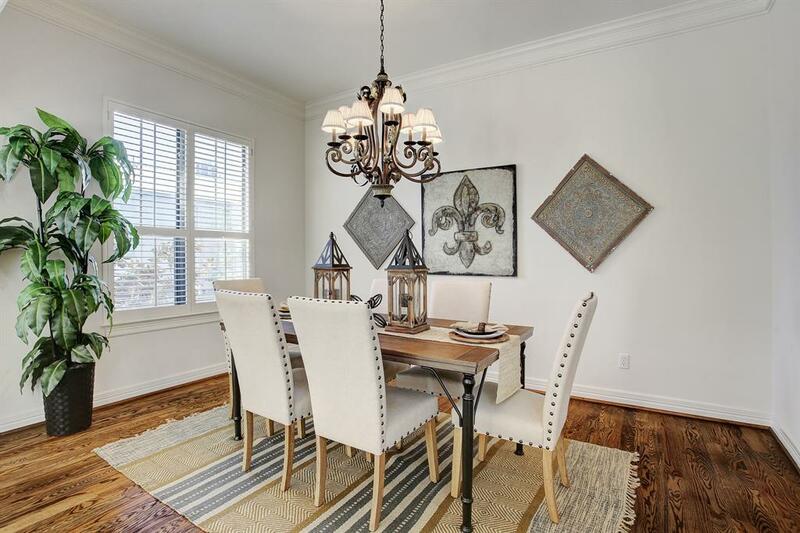 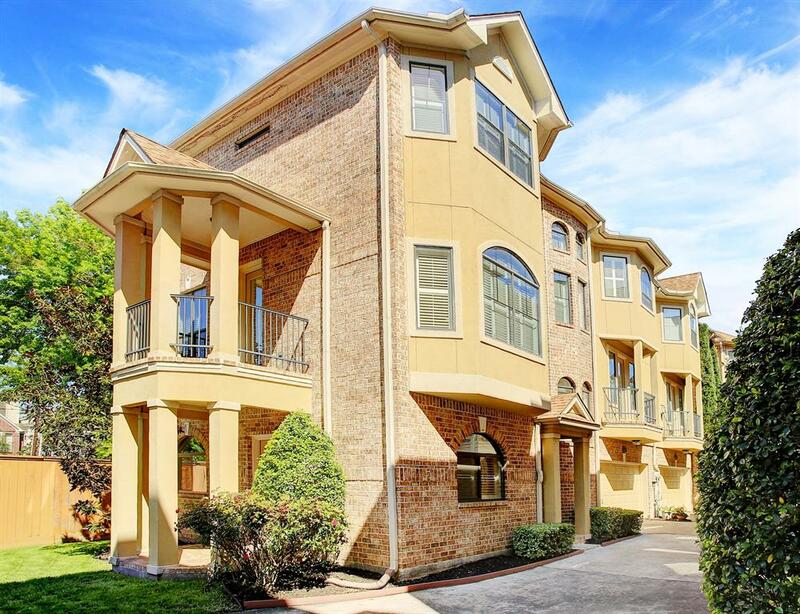 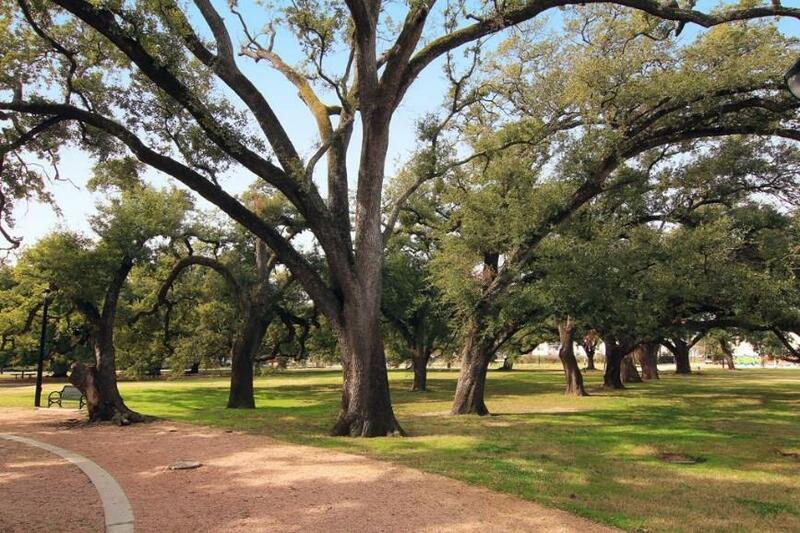 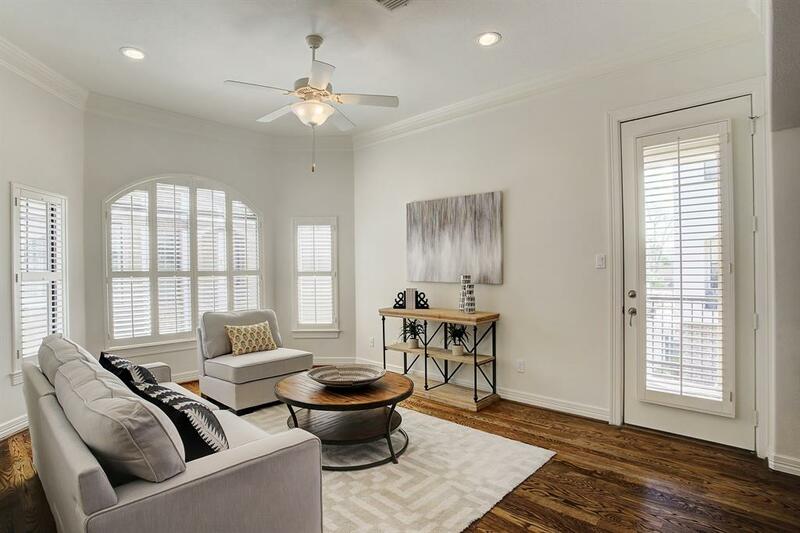 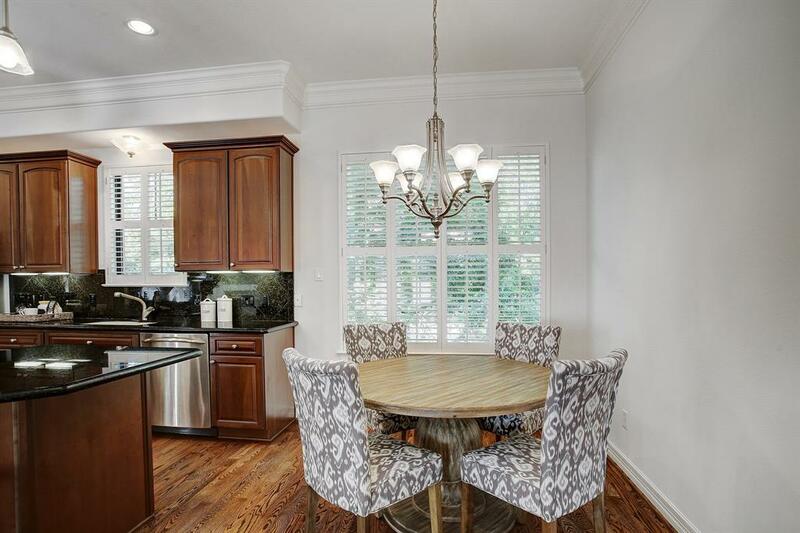 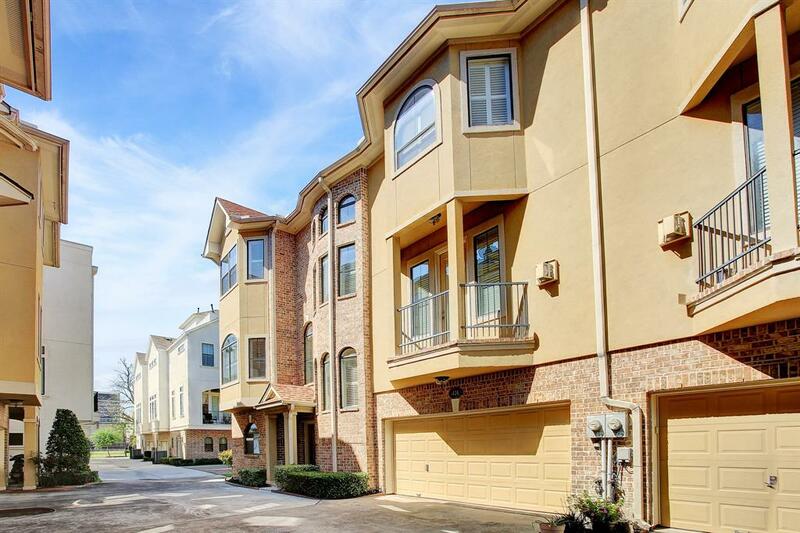 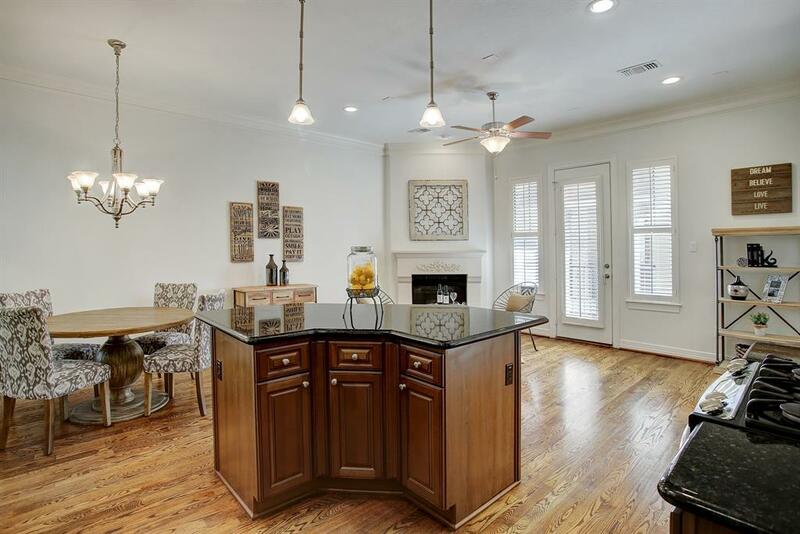 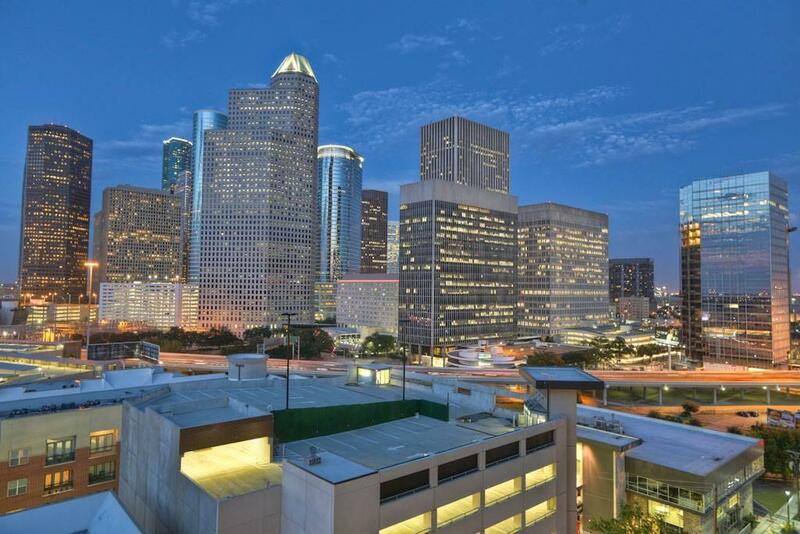 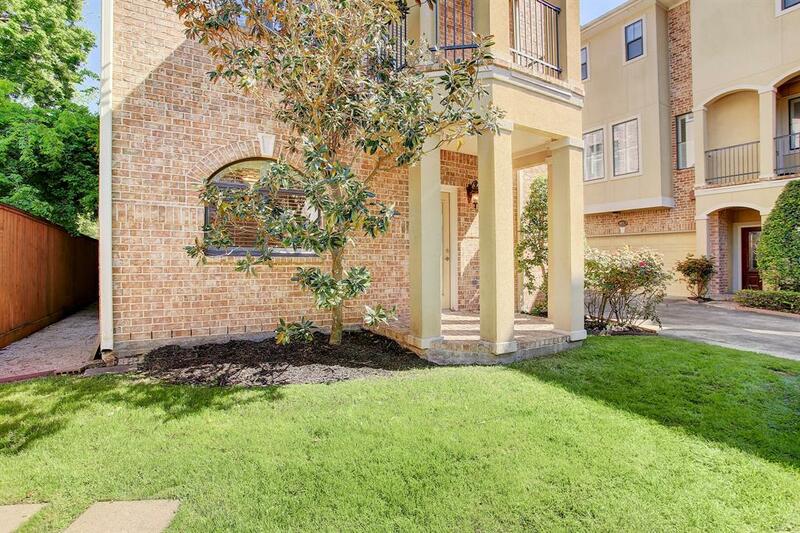 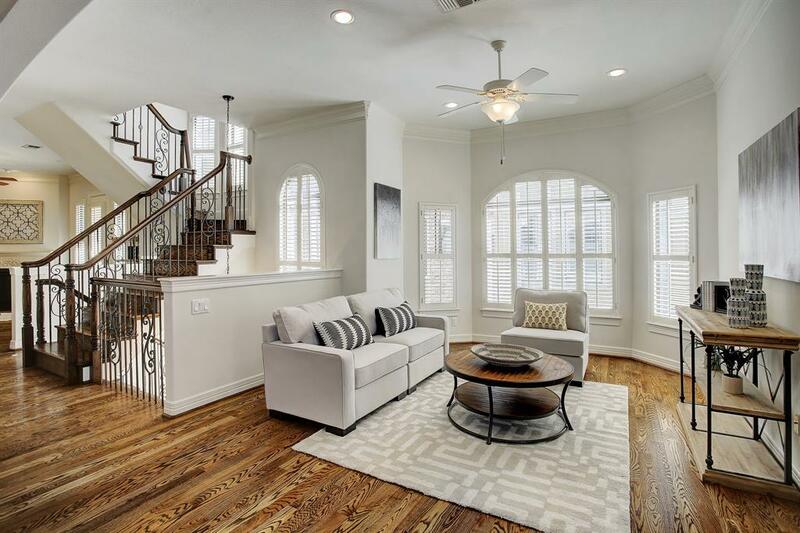 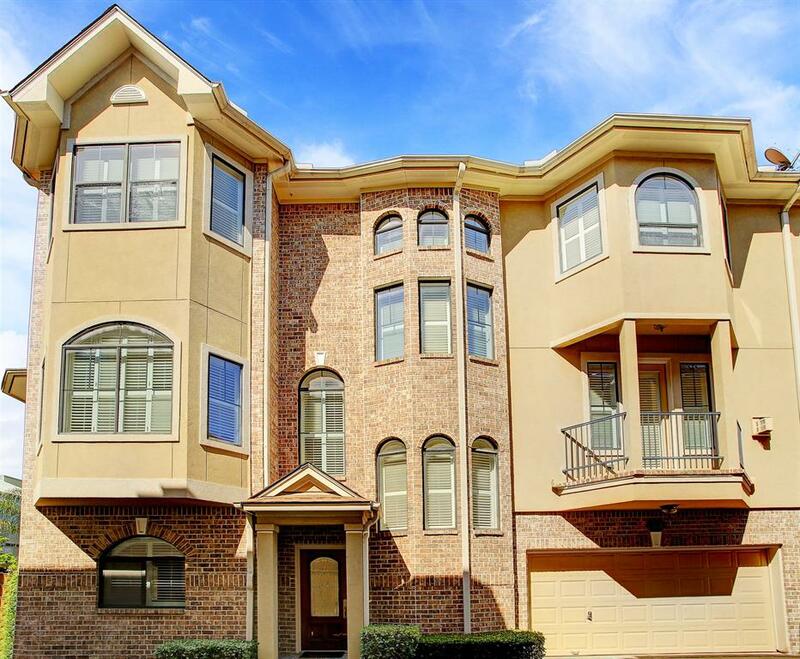 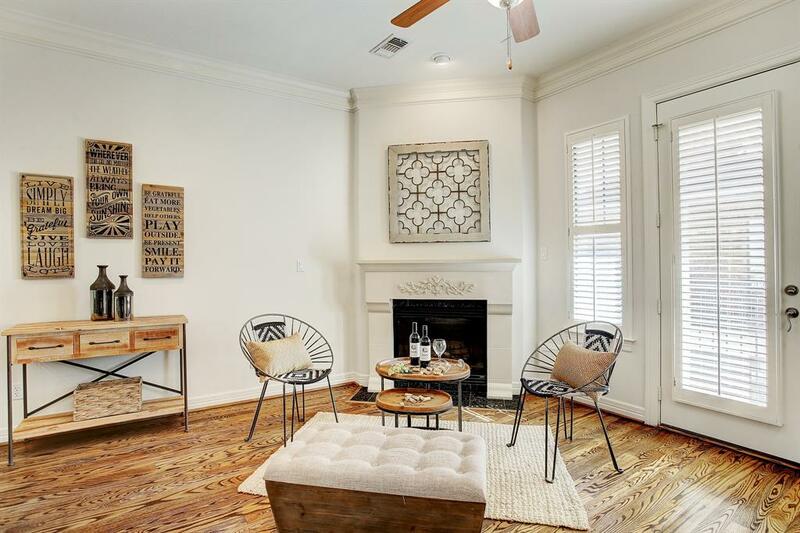 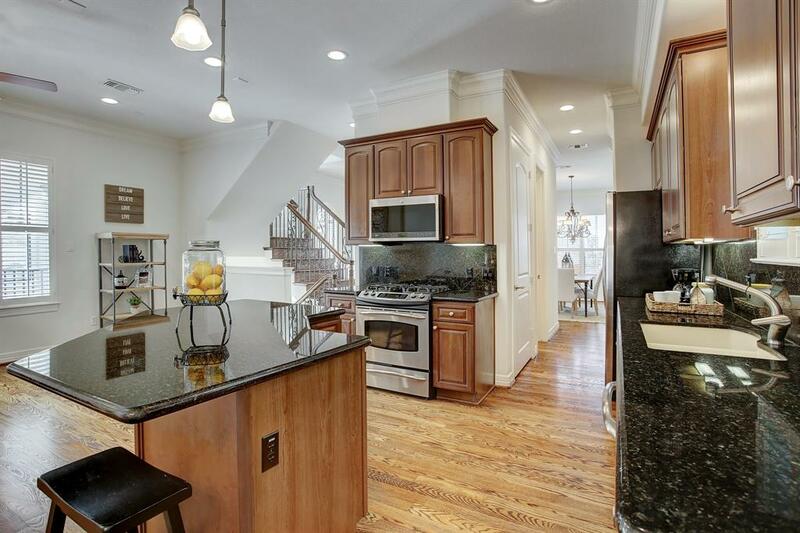 Sophisticated 3 story townhouse located in a gated community nestled in desirable Midtown. 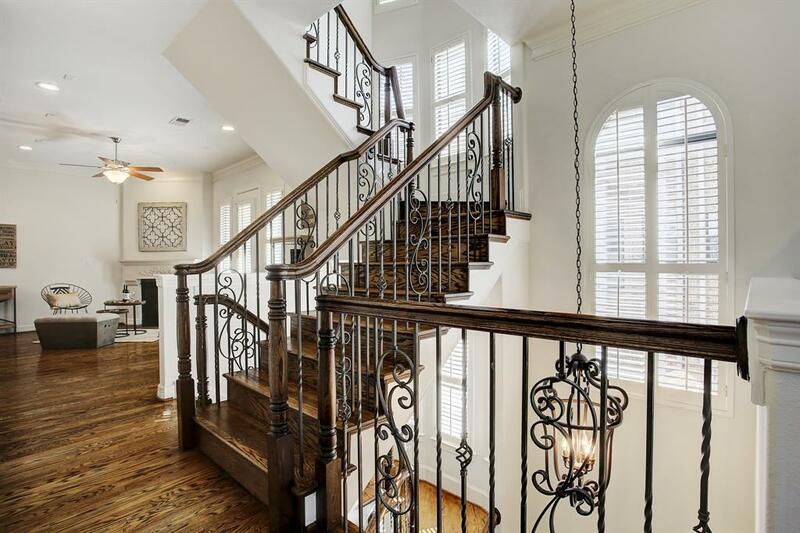 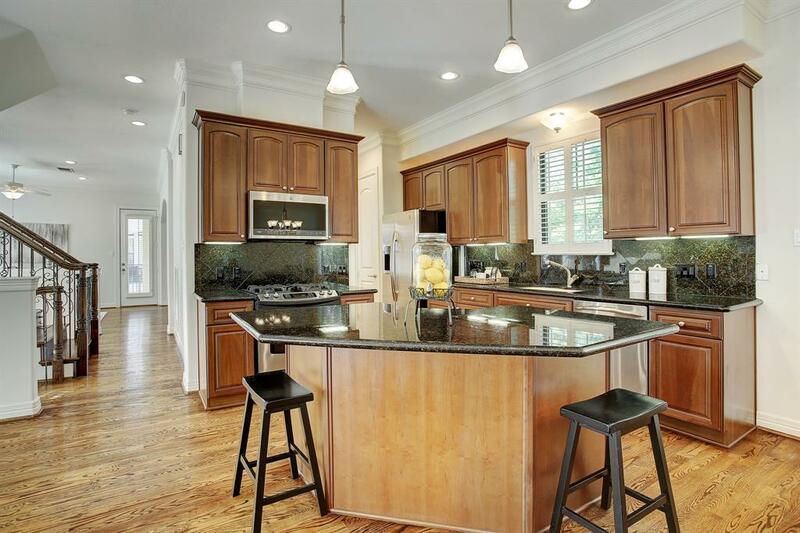 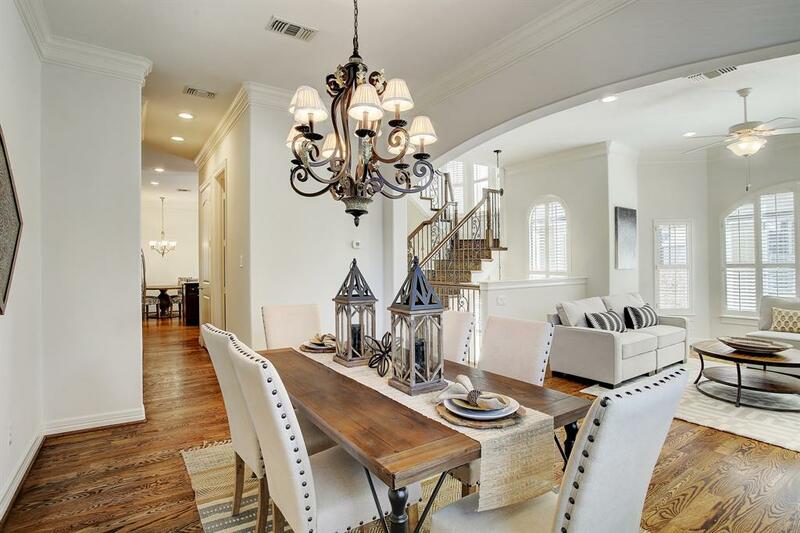 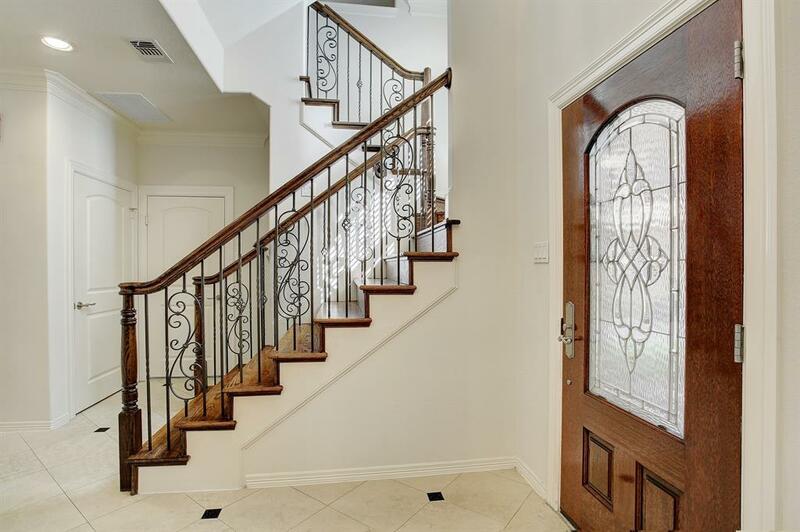 This home features luxury finishes, elegant iron and wood stairwell, plus plantation shutters throughout. 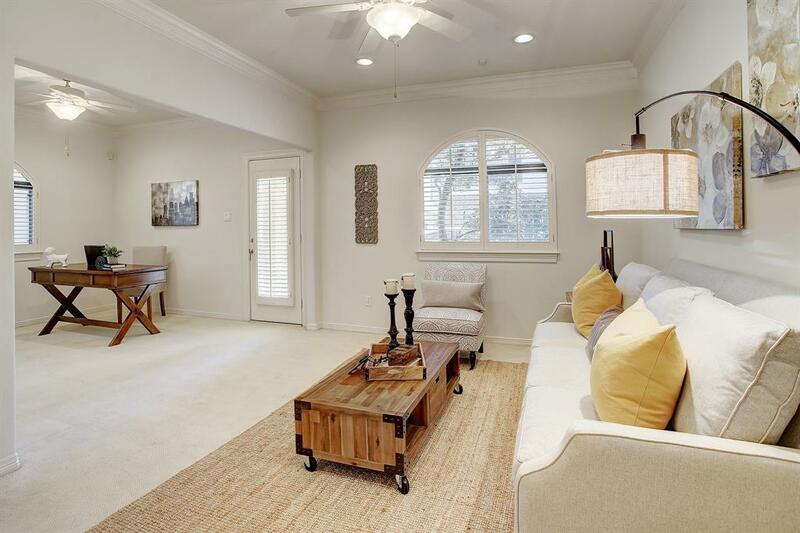 The first floor features a study and living space with full bath, carpet and patio. 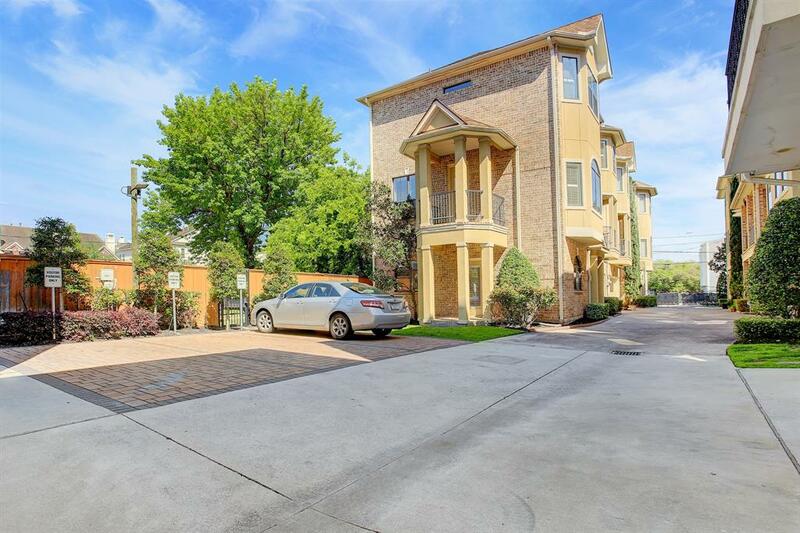 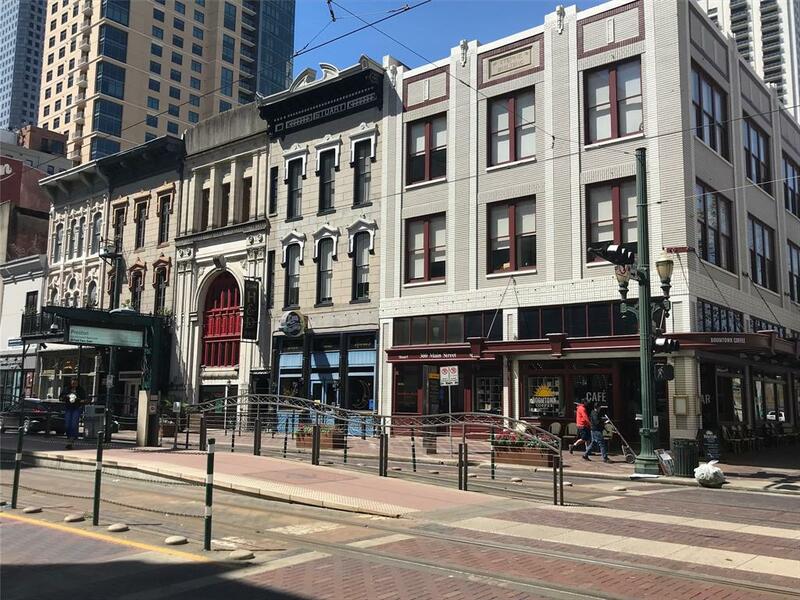 Open second floor living with hardwood floors, 2 balconies, den with gas log fireplace plus wiring for surround sound, breakfast area, formal living and dining, butlers pantry, half bath and chef's kitchen; which features stainless appliances like a convection oven and gas stove. 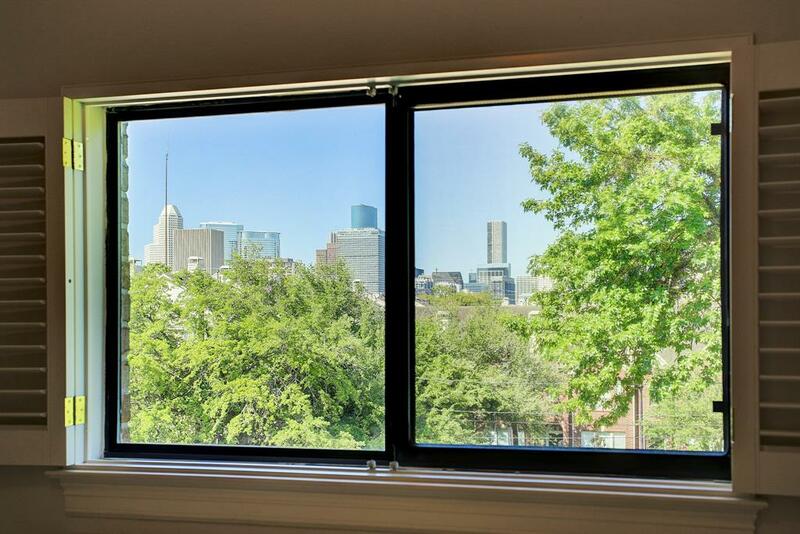 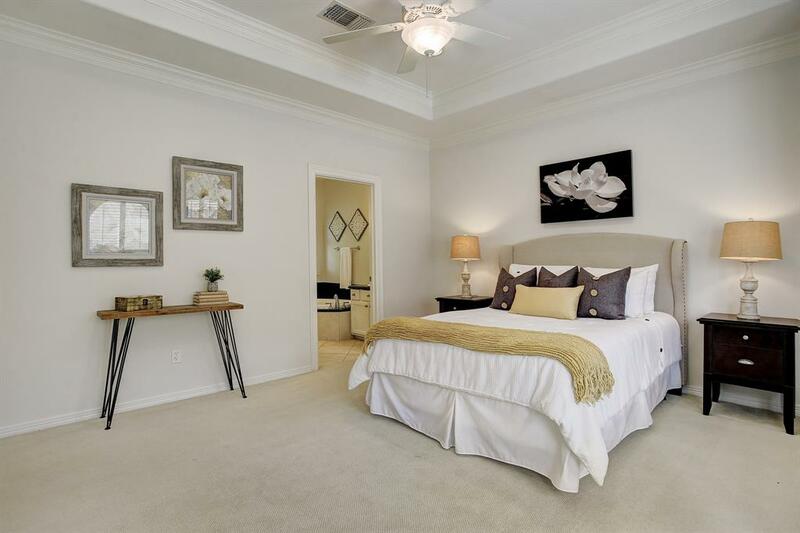 Located on the third floor are 2 bedrooms with carpet and Hollywood bath, the utility and master suite. 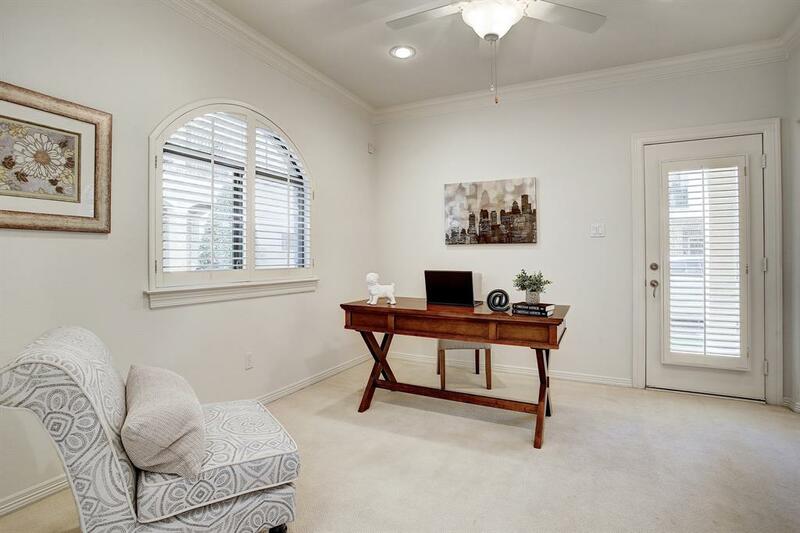 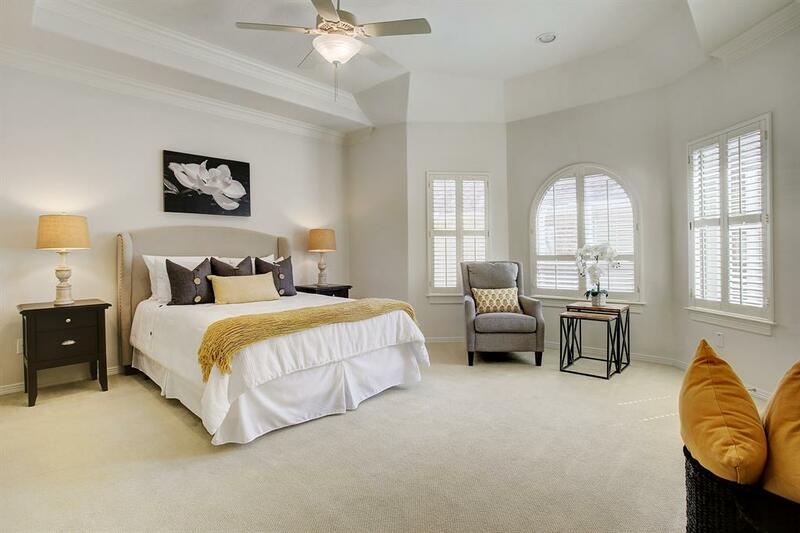 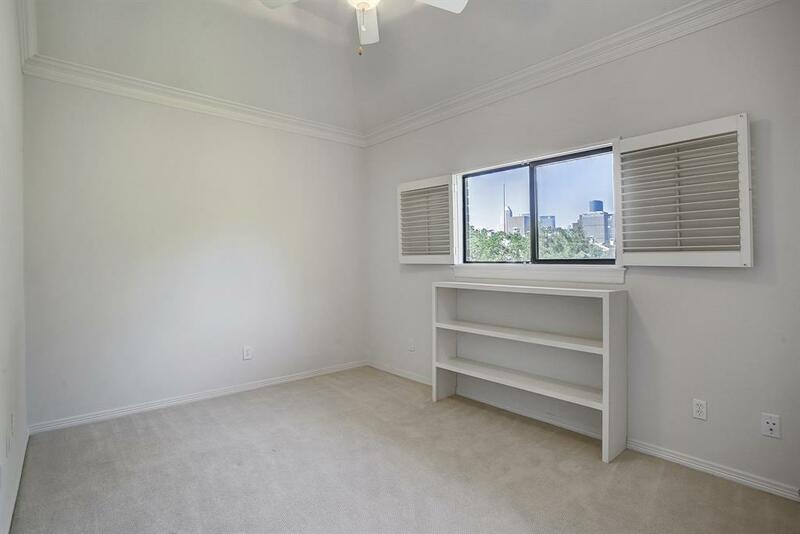 Spacious master suite has two closets, plush carpet and lots of natural light. 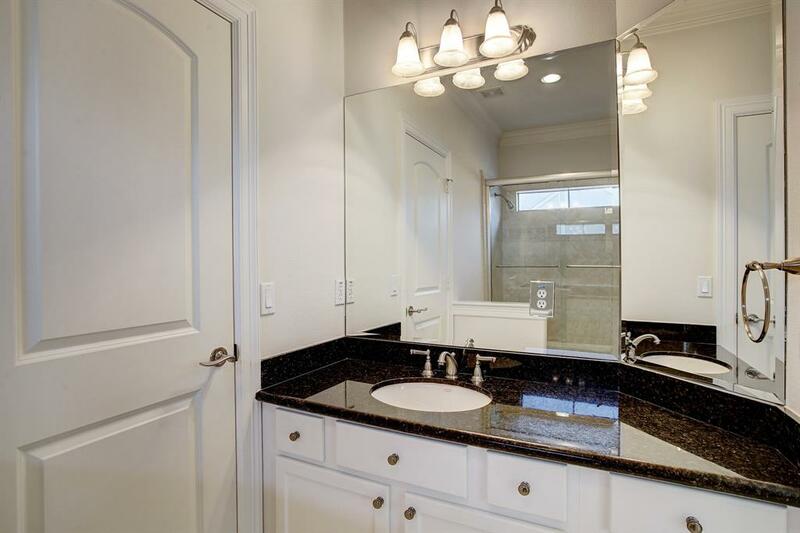 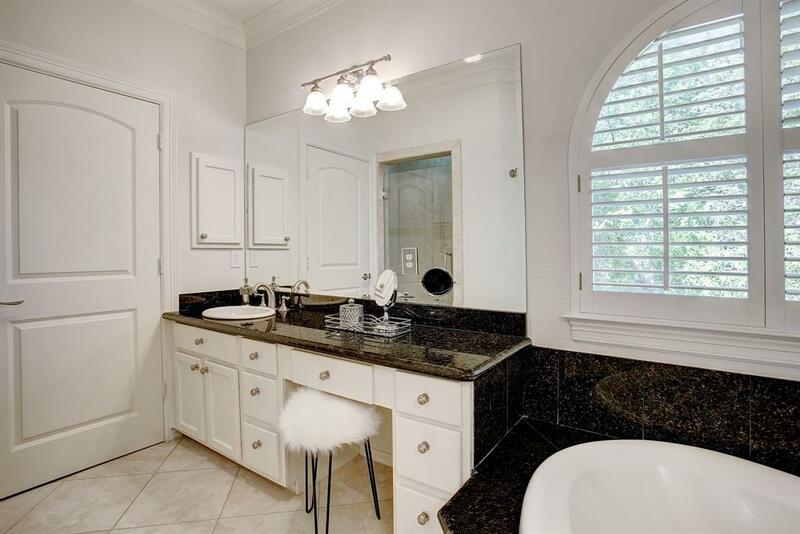 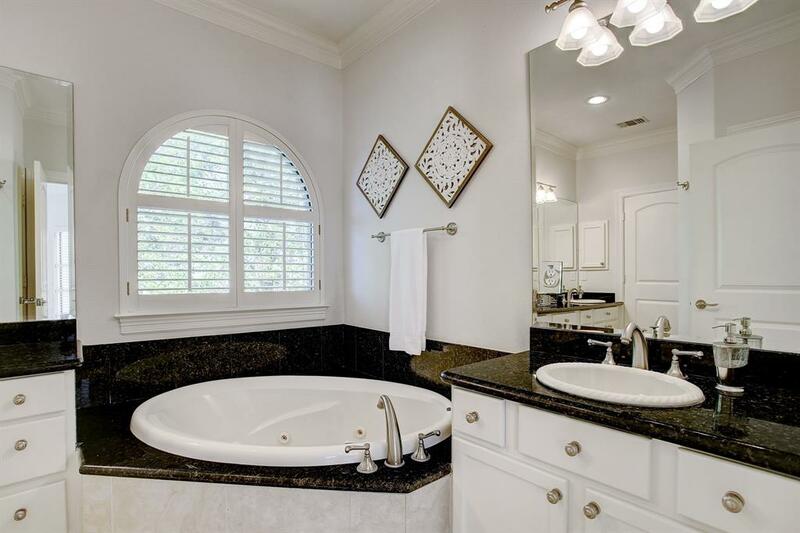 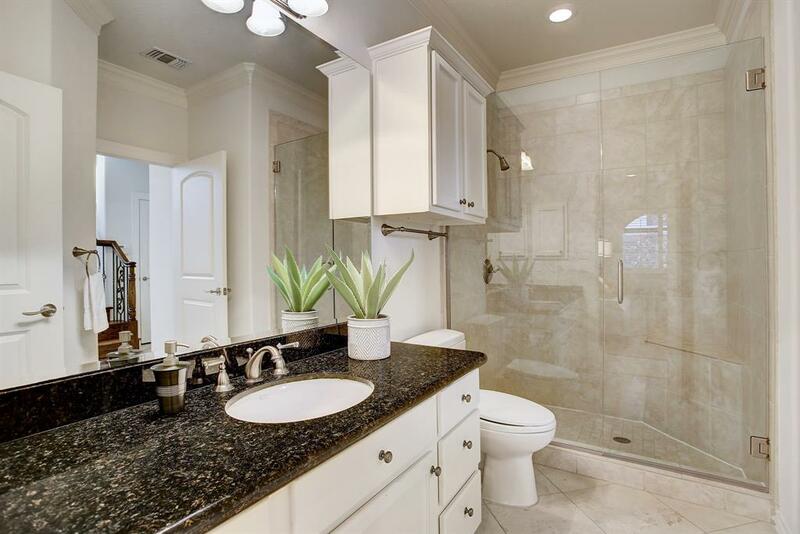 Master bath features dual granite vanities, jetted tub and shower with dual heads and bench. 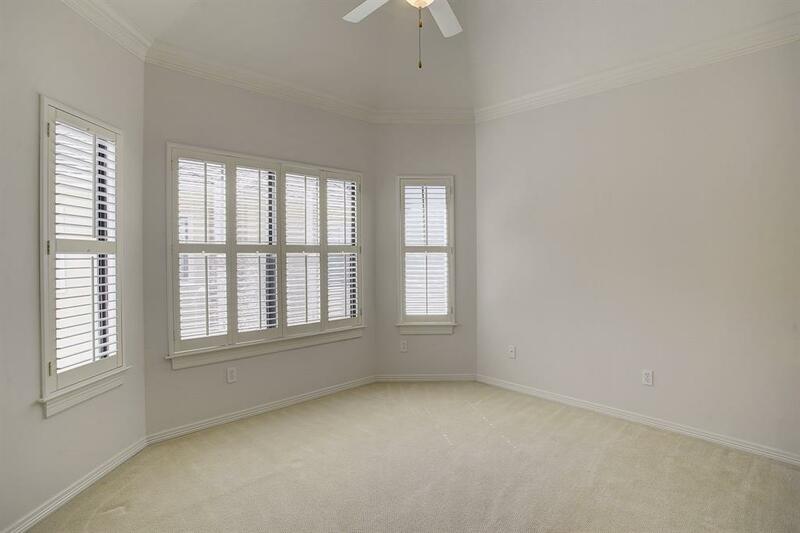 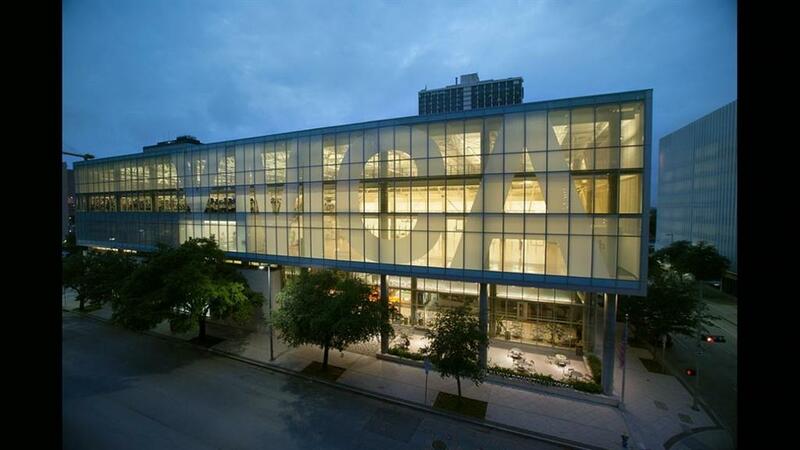 Each floor has a spacious 5x4 closet for extra storage or can be used to put an elevator in.